Two elegantly decorated homes accompany the lovely landscaped lot with towering trees. all the furnishings convey making this a spectacular turnkey property. These homes were used as B&Bs but owner has used it as a residence in 2018. Whether you want to use it as an income producing investment property or as your home, the front craftsman style home (1920) and guest house is picture perfect for entertaining family & friends in popular Fredericksburg, Tx. as you walk up the sweetly landscaped sidewalk you’ll notice the vintage front door and swinging porch. One of the most unique historical elements of this home is the decorative pressed metal walls and ceilings found in the main hallway and front living area. A common substitute for decorative plaster and woodwork, pressed metal was most widely installed as ceilings and cornices, and to a lesser extent as wainscots and wall finishes. This lovely home was once owned by a pressed metal salesman who would bring customers into his home to chose their design. We have yet to see this treatment in any other home in fredericksburg. The craftsman style home features 2 bedrooms, 2 baths with marble & granite, a fantastic kitchen, butlers pantry, living/dining room with true french doors and a cozy den with brick fireplace. The home has an extensive amount of porches & a garden with sitting area for entertaining. The guest house (called the myrtle cottage) features a living area lined with floor to ceiling windows, charming kitchen/dining area, 2 bedrooms and 2 full baths. Property is accessed from Travis st. and also has an additional easement road along the back that gives access from orange street to the back entrance of the double car detached garage, more lovely porches and outdoor storage make this home complete. Financials are available for those preferring to put the homes back into B&B status. 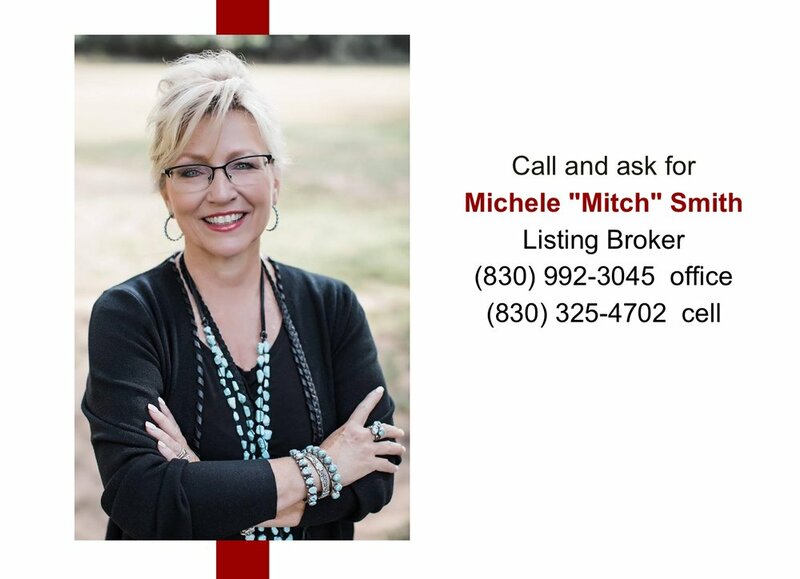 Call Listing Broker Michele Smith for details.